There's just no love for MySpace from anyone these days, including the developers who had games on the site. Remember when MySpace thought it could be a social gaming hub? And then, after its revamp was finished, about half its workers were fired via Xerox? Well, now the site's public death by inches is continuing, and this latest development is particularly embarrassing: Casual game developers are shutting their MySpace portals. In a post on the game's MySpace page, Zynga confirms that Mafia Wars was discontinued yesterday, April 18. 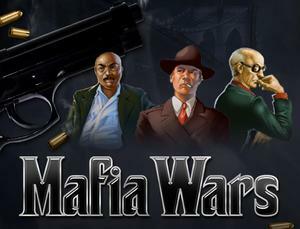 Instead it points players towards the game's official site, mafiawars.com, where the game continues, with the developer promising an improved experience with new locations. Zynga last month discontinued another MySpace game, RPG Street Racing. However it also cancelled the game on Facebook, where Zynga is the runaway market leader, with 266 million monthly active users across all its games, 200 million ahead of its nearest competitor. Of course, Zynga isn't the only company to abandon the sinking ship that is MySpace. Playdom recently announced that its RPGs Overdrive and Bloodlines were going away, and RockYou pulled all of its games (RockYou Pets, Superhug!, Speed Racing, and Truth Box) from the site. The writing seems to be sitting pretty clearly on the wall these days: Between its dwindling user base, developers leaving the site for more fertile digital pastures, and NewsCorp continuing to look for a buyer to take this money pit off its hands, it seems like MySpace's days are pretty numbered.